APS Therapy is a form of electrotherapy (nerve stimulation) which causes significant biochemical reactions on cellular-level. The substances which are then released have an analgesic, anti-inflammatory and healing effect in the affected tissue. 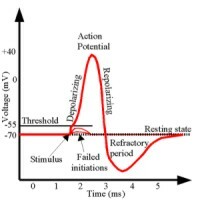 The action potential is a communication signal that occurs in the nerve cell. Every time an action potential occurs the cell will start exchanging matter like sodium and potassium. 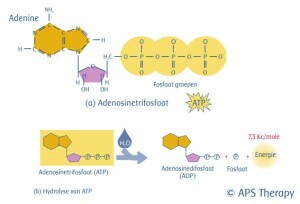 This activates the cell and also other intracellular processes will follow. This will have a positive effect on the communication ability of the cell and the cell will perform better in conducting signals. APS Therapy has no side effects and relatively few contraindications. APS equipment is also designed to be easily used by almost anyone. APS Therapy improves cell communication thereby increasing cellular energy. This increase in energy is the result of an increase in ATP (Adenosinetriphosphate) which will be increase 5 to 8 times with the use of the APS device. The body will use this extra energy to heal tissue and to reinstate balance. When that energy is used, the bodies own painkiller, adenosine, will manage and reduce pain. This therapy also assists the removal of waste products from the body which is beneficial for pain management and a general well being. The unique micro-current technology of APS Therapy allows for deep tissue penetration thereby allowing deeper pain to be addressed. This makes APS Therapy unique compared to other therapy modalities. The APS machine is used to stimulate the action potential in the body. 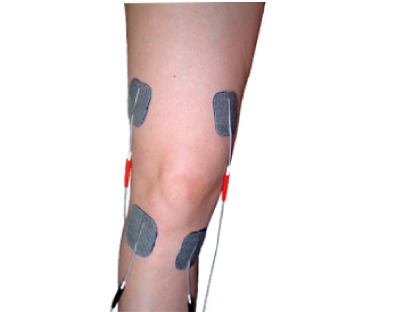 Adhesive electrodes are used to make contact with the human body and transfer the APS signal. The electrodes are applied on specific areas on the body in such way that the treatment is most effective. The APS Therapy signal is comfortable and safe to use.